Due to customer request we've modified our RIGGER to satisfy both those guys who prefer the original knit collar and those who love the design but wish it had a leather collar. Customers can now specify which they prefer. 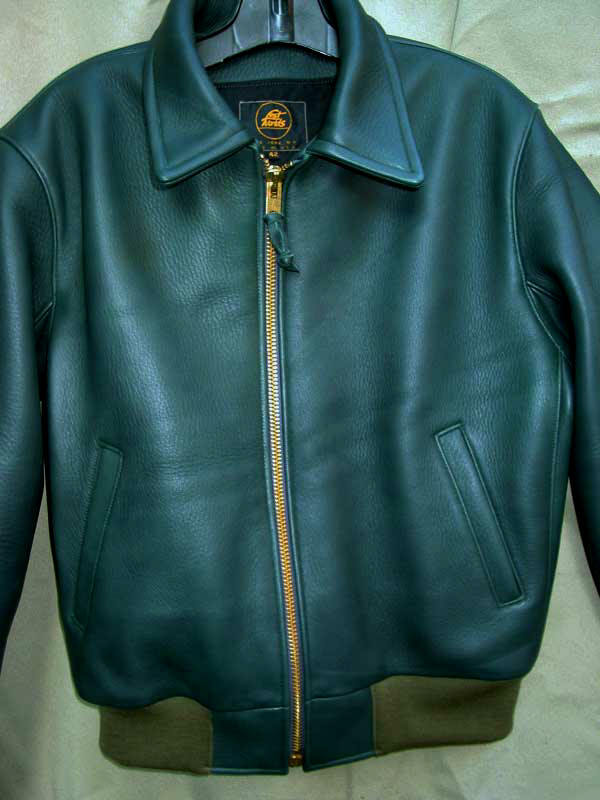 An original LOST WORLDS design incorporating a host of interesting and dashing features from 1930s and 1940s Horsehide Jackets. 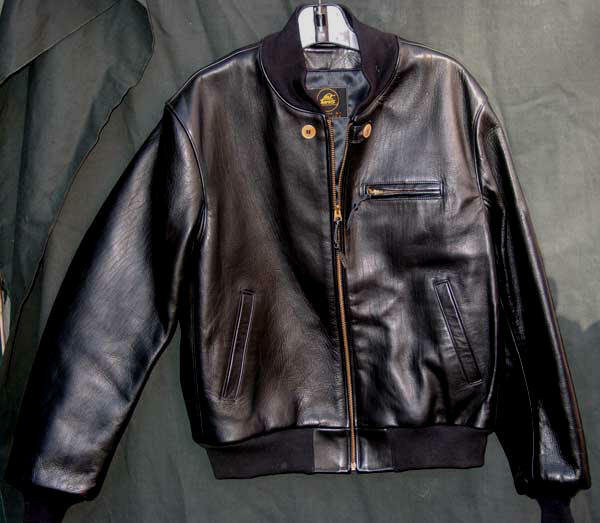 First, of course, the Hides -- our renowned chrome-tanned 4 + oz. 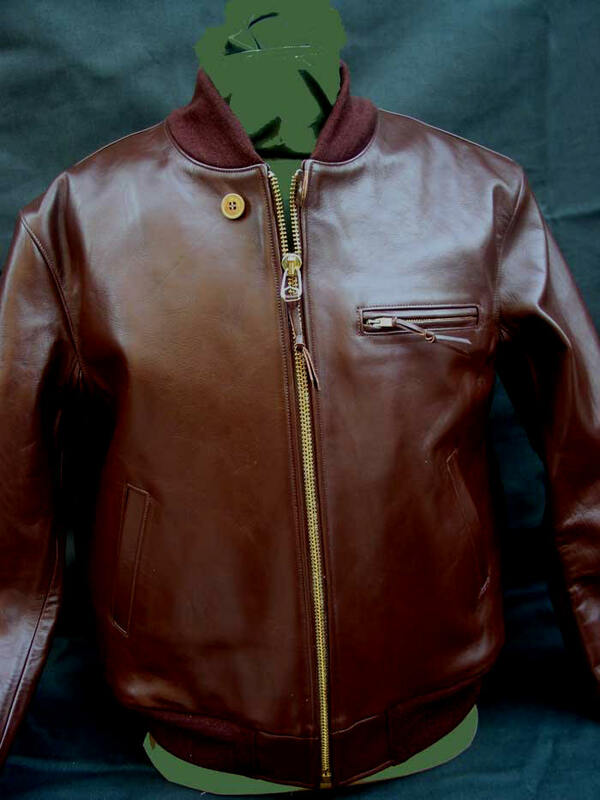 Black or Russet Brown Horsehide. Peerless strength, durability, grain and beauty. 100% Wool Knit Cuffs, Waist and Collar. 100% Nylon Flight Satin Linings. 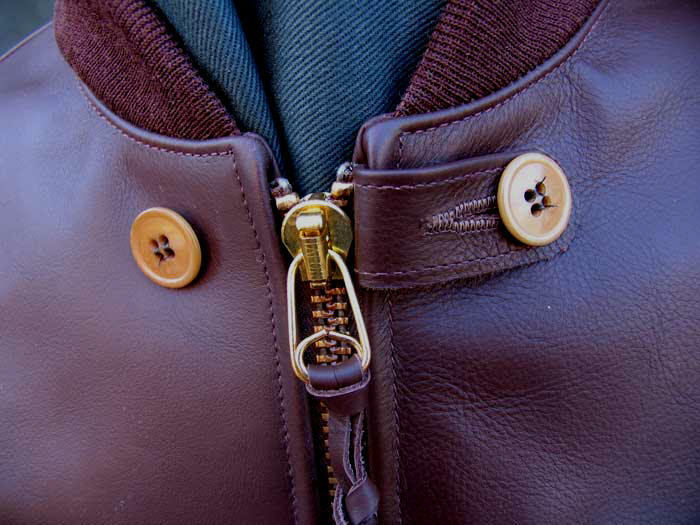 Brass Talon Zipper. 2-piece Back (Shoulder Yoke and dominant Main Panel). Interior snapped Pocket. Slash Pockets (genuine cotton flannel-lined). Throat Strap with genuine antique Bakelite buttons. 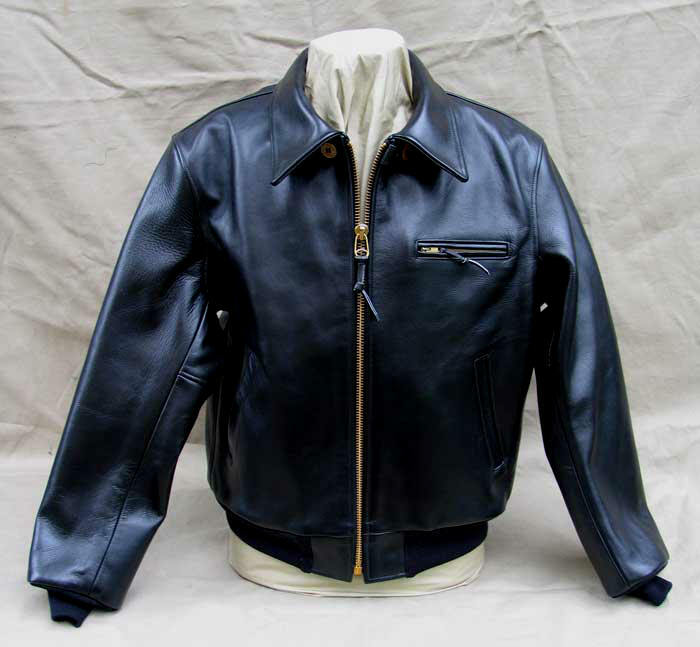 A beautiful and functional jacket for motorcycle or casual use. Streamlined, straightforward and very simple. 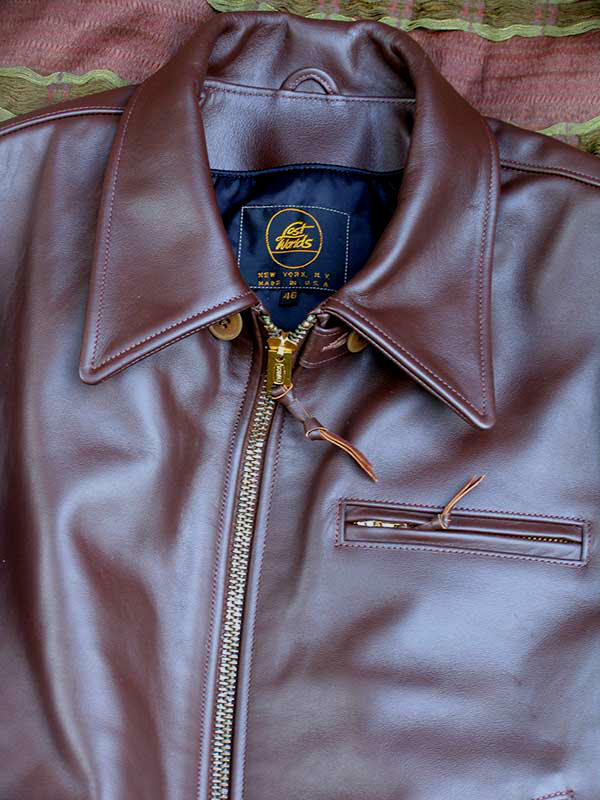 The complexity lies in the detailing, materials, execution, character. All American, unduplicated elsewhere -- since it's our design (we should say unduplicated for now, that is -- our styles have a funny habit of turning up in other manufacturers' lines). Famed, peerless LOST WORLDS workmanship. Seeing is believing. 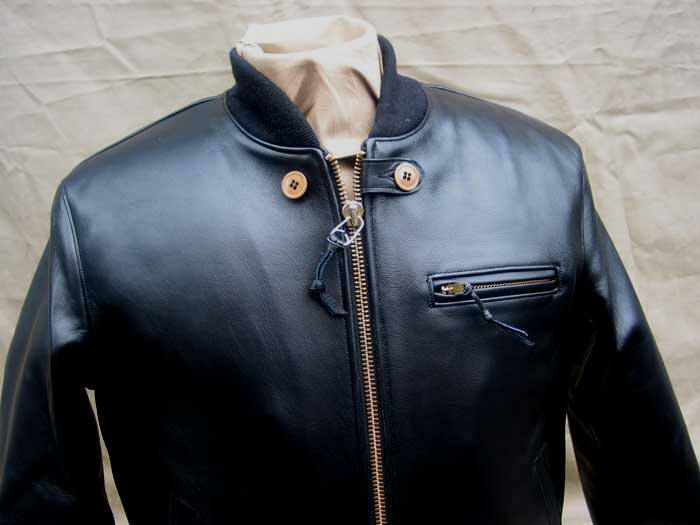 "I received my Rigger Jacket in black horsehide. SUPERB ! FANTASTIC ! EXCELLENT ! MAGNIFICENT ! PERFECT IN EVERY WAY !!! Thank you for producing such great products. 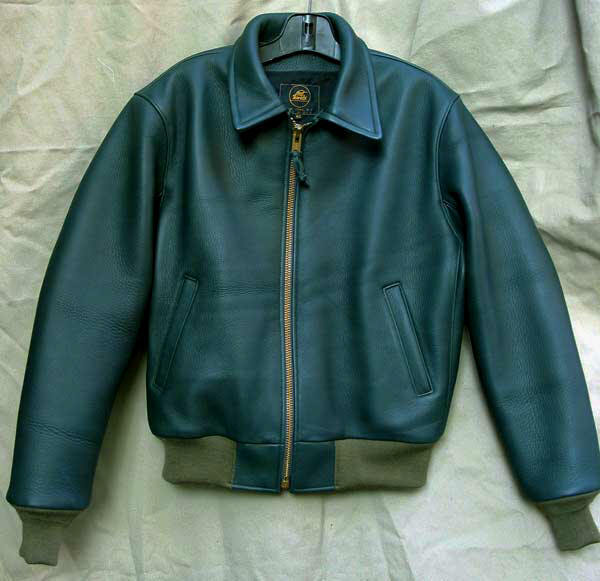 My wife wants me to get another one immediately in Russet Horsehide. Probably the Easy Rider. I'll be in touch next week." 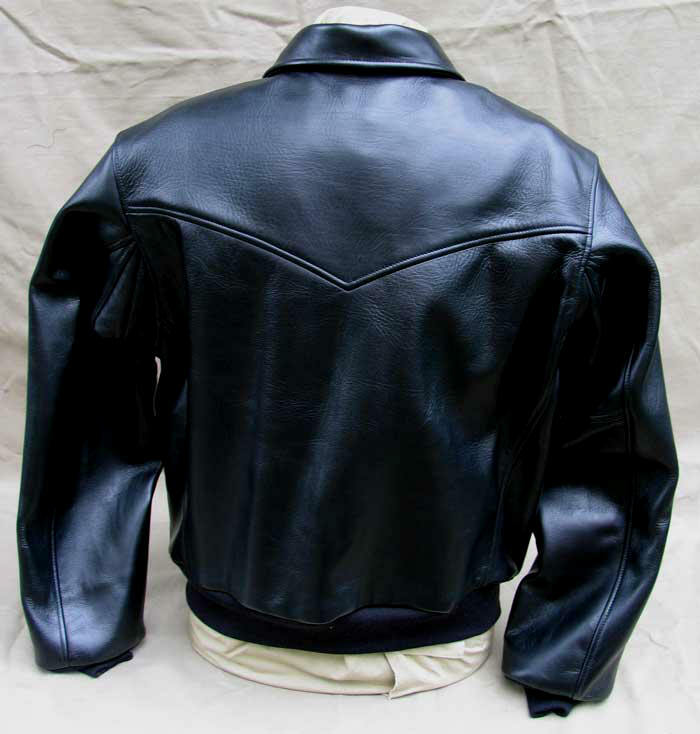 "Rigger in goatskin a perfect fit. Beautiful construction and appearance. 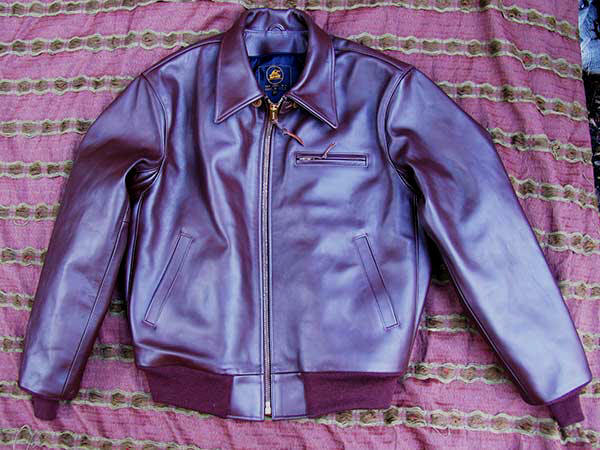 Thank you for a great jacket"